This series, the Grossery Gang must fight against the Clean Team. Who will win? This Series 3 Surprise Pack contains a trash bin container with 2 surprise Grosseries. Which team will you get? Collect over 150 characters in the series and keep an eye out for limited edition Grosseries. Collect, trade, or share them today! Ages 5 and up. 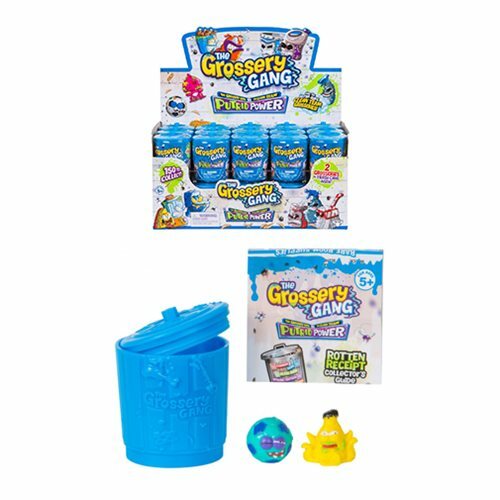 This Grossery Gang Series 3 Surprise Pack Mini-Figure Display Tray contains 30 individually packaged blind packs.